WASHINGTON -- Canadian Prime Minister Justin Trudeau said on Wednesday that it may be possible to reach a deal on NAFTA ahead of U.S. President Donald Trump's Friday deadline. "We recognize that there is a possibility of getting there by Friday, but it is only a possibility, because it will hinge on whether or not there is ultimately a good deal for Canada," he said at a press conference in northern Ontario. "No NAFTA deal is better than a bad NAFTA deal." On Tuesday, Canada's top trade negotiator praised Mexico's trade concessions on autos and labour rights as she rejoined NAFTA talks, while U.S. lawmakers warned that a bilateral U.S.-Mexico trade deal would struggle to win approval in Congress. Automotive executives and other sources also told Reuters on Tuesday that the bilateral U.S.-Mexico deal announced on Monday allows President Donald Trump to impose 25 per cent tariffs on imports of Mexican-made passenger vehicles and auto parts above certain volumes. "These concessions are really going to be important for workers in Canada and the United States," she told reporters after meeting with U.S. Trade Representative Robert Lighthizer. "I think he's going to sit there with his arms folded a lot," Ujczo added. Negotiations among the three partners, whose mutual trade totals more than US$1.2 trillion annually, have dragged on for more than a year, putting pressure on the Mexican peso and the Canadian dollar. Both currencies gained against the U.S. dollar on Monday, but the peso weakened on Tuesday. Some lawmakers said however, that a bilateral pact could lose the benefits of U.S. "fast-track" negotiating authority, which calls for a trilateral deal. A trilateral deal would need only 51 votes in the Senate, while a bilateral pact would need a far more difficult 60-vote threshold, said Sen. Pat Toomey, R-Pa. If Republicans retain 51 of the Senate's 100 seats in November elections, they could approve a new NAFTA agreement next year without the support of Democrats. Canada's main stock index opened higher on Tuesday on hopes for a NAFTA trade deal, before ending lower. U.S. stocks edged to record highs for a third consecutive session. 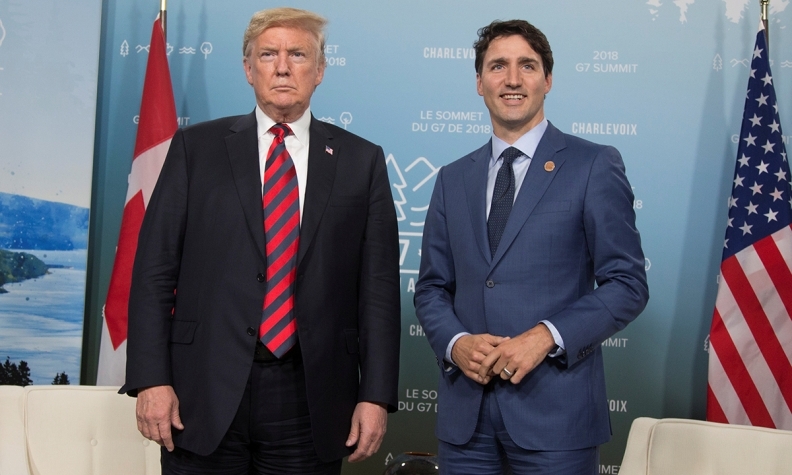 Trump said he still could put tariffs on Canadian-made cars if Canada did not join its neighbors and warned he expected concessions on Canada's dairy protections. "It seems like a pretty steep challenge to now resolve these issues in three days," said David Wines, a Manitoba dairy farmer and vice president of industry group Dairy Farmers of Canada.